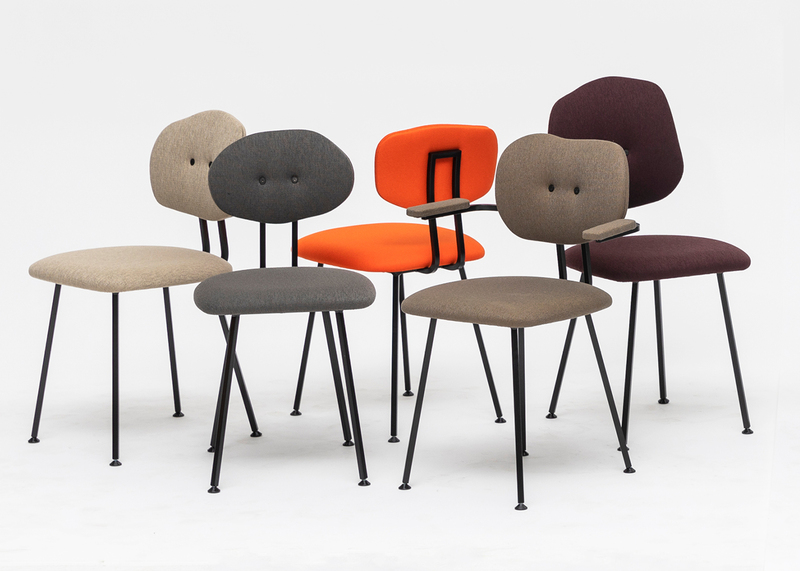 Lensvelt and Maarten Baas proudly present the expanding family of chairs to the public. 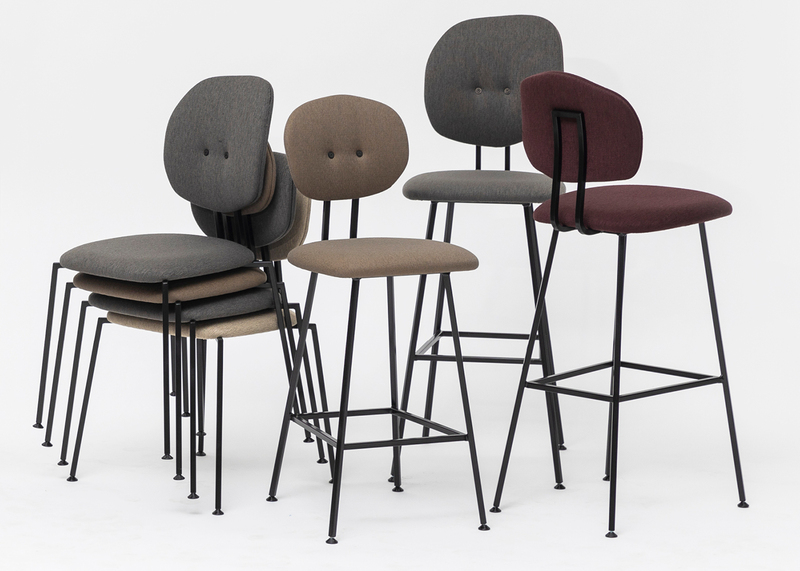 Stackable, not stackable, as barstool, with and without armrests, with high or low backrest, upholstered or with a wooden seat and back. 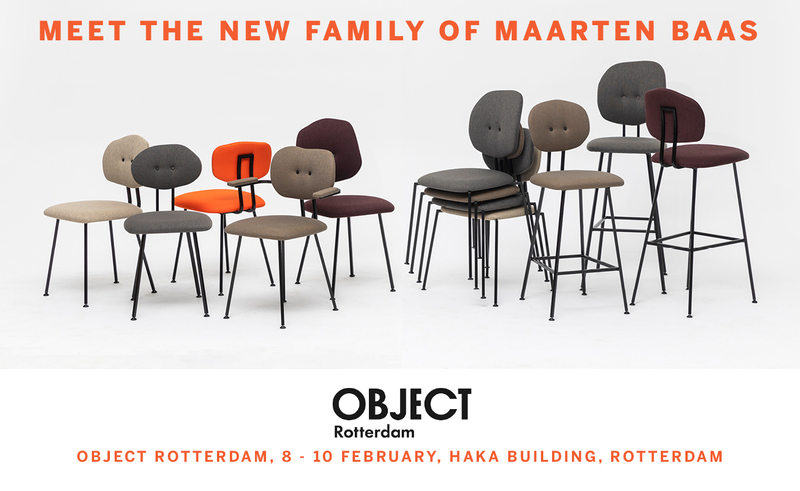 Both the existing Maarten Baas Chairs and the latest additions, which have not been presented before, will be on show in the industrial HAKA building during Object Rotterdam 2019 from 8 to 10 February. The adventure started in 2016 when Maarten Baas, together with Lensvelt, designed the Maarten Baas Chair. 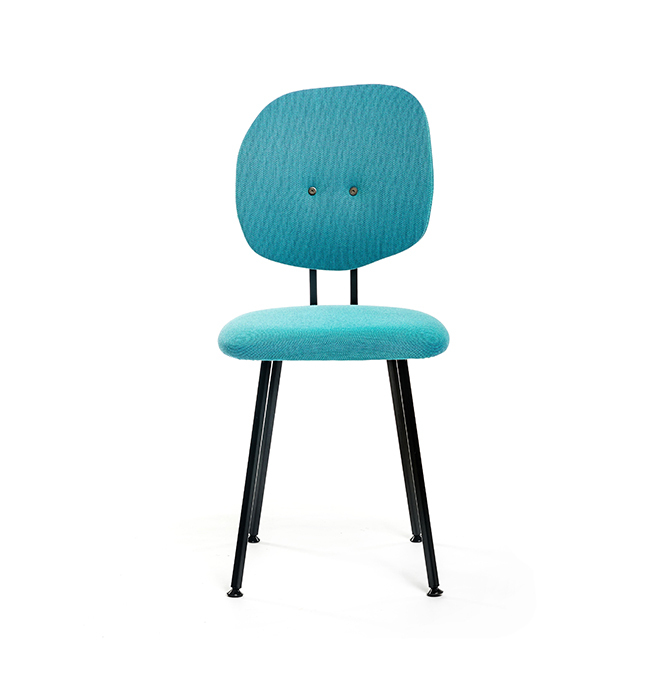 A series-produced chair where a smart adaptation in the production process allows each chair to have a slightly different shape, and thus a unique character. A chair in eight different designs and infinite shades of upholstery with recognizable features: rebellious, endearing, stubborn. Each and every one of them are unique figures of which the various backs resemble human faces. After this success, Baas developed a family of chairs exclusively with this NON design furniture label. There is a stackable Maarten Baas Chair, a variant with armrests, and the most recent family members: a high and low upholstered bar stool and a version in European oak that can be stained in different colors. The Maarten Baas Chairs were part of the spectacular installation “May I have Your Attention, Please?” With this, Lensvelt and Baas won the prestigious Milano Design Award Best Concept 2017 at the Salone del Mobile in Milan. Lensvelt also won this award in 2016 for the Boring Collection together with the young architects Space Encounters. Never before has a Dutch company won this award, let alone twice. And Maarten Baas is the only designer to win this prize twice. Maarten Baas (1978) is an internationally renowned designer and artist. With his rebellious, intelligent and humorous gaze, he takes a unique position in the creative world. Baas is known for his burnt Smoke-furniture for label MOOOI, Clay Furniture, Real Time Clocks and the Maarten Baas Chairs for Lensvelt. Lensvelt is a committed non-design furniture label located at the Herengracht in Amsterdam. Since its founding in 1962, Lensvelt offers architects and interior architects the opportunity to realize ever better and healthier interiors. Lensvelt has work from more than 150 top designers, architects, artists and design labels in the collection, including Studio Job, Piet Hein Eek, Atelier van Lieshout, Richard Hutten, Maarten Van Severen, Gerrit Rietveld, WH Gispen, Maarten Baas, Space Encounters, OMA, Paolo Rizzatto, Wiel Arets, Marcel Wanders, Ronald Hooft, Nina Graziosi, Edward van Vliet, Bertjan Pot, Caroline Prisse, Simo Heikkila and Ineke Hans.